Demolition Australia is Sydney’s premier demolition company. With over 25 years’ experience in small and large projects, we provide expert services to residential, commercial and industrial customers across Sydney and NSW. With an experienced and qualified team of professional experts, Demolition Australia strives to be the best in the industry through the quality of our work, integrity in all our dealings and our commitment to safety. At Demolition Australia, we are dedicated to providing a quality service, no matter the size of your project. Our team of professional experts provides the full suite of services, from home to commercial and industrial demolition, including removal of interiors and structures, clean up, safe asbestos removal, and excavation. Operating across Sydney and NSW, Demolition Australia has the experience to take on your project, and surpass your expectations. 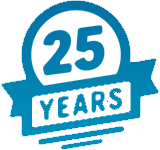 Our experience speaks for itself – with 25 years of happy customers in Sydney and NSW, we are confident that we have the experience to cater for all your needs. Whether you have a small project or a large project, we aim to complete the job to your satisfaction, on time and on budget. Your confidence and peace of mind is our primary goal. At Demolition Australia, we aim to provide you with the experienced and fully qualified team needed to complete your project safely and reliably. We are fully licensed in Sydney and NSW, and fully insured to undertake demolition works, excavation, removal of asbestos and transport of hazardous waste. We’re registered with the Department of Fair Trading, and out public liability insurance includes extra cover for dealing with asbestos. All our staff are fully trained in all aspects of demolition, excavation and clean up.